What would you like from HubPages' Next Contest? Now that Money Grows in Hubs has moved on to final judging stages and all entries have been entered, it's time to reflect. This has been an AMAZING contest. We had 5,707 total entries (1,073 of which were part of the Daily Bonus Topics), which is much more than the 770 entries in our last contest. 2,202 Hubbers entered, which is way up from the 236 of our last contest. My my my!! The entries were stellar, and Hubbers are certain to profit from them as time progresses! Now here's the exciting stuff: our next contest's topic has already been selected, and I can assure you it's amazing! You're going to love it. That said, we're still in the planning phases, and I want to get your feedback before we set new rules, processes, and guidelines. What would you like to see in this next contest? How can we improve upon this one? What worked with this one, and what changes would you like to see? Any and all tips, feedback, suggestions, and advice would be much appreciated! Seems that many of us did not know what to expect from the judging. Long tail titles were stressed but we still didn't give you what you want. Maybe clearer rules are needed ... or something else, I dunno. I also found because there were so many drawings the deadlines got complicated especially due to the time zone differences. These are two excellent points! We shall be absolutely sure to make the rules more clear, and I'm definitely with you on reducing confusion with daily deadlines. And to be clear, which aspects of our Judging criteria could use more expanding? *A short, descriptive, to-the-point title that addresses a Personal Finance issue. Here are two examples: Lessons to Help Kids Save Money and Withdrawing 401k - know the facts. Maybe some extra instruction in advance on long-tail topics...I'm not sure I'm really getting it. I think I have the impression that long-tail topic = longer title, but "short, descriptive, to-the-point title" seems to counter that perception. I have the same confusion, sagebrush_mama! My impression: Topic and title are often used interchangeably, both in the rules and in the learning center. They aren't entirely equated, but there is a lot of overlap and sometimes, I suspect, even the wrong term. If I were to hazard a guess, topic (almost?) always appears in the title, but might surface in other parts of the hub or url as well. There's the feedback. Now put your heads together and figure out how to clarify. The title is placed at the top of a hub. Where is the topic placed? You imply that it could be placed either in the title or somewhere else. Hi kimbrewaa - sorry about the photo uploading trouble! Could you tell me what's going wrong? Perhaps we can work through it- you should be able to upload photos without much trouble. I really liked the clock you had that showed everyone how much time they had for a particular subject. I'm glad you found it to be helpful! I didn't enter the contest this time, but I remember the previous one. At the time, I suggested it would be helpful to have a layout template to aim for - and the easiest way to do that is to use an existing template, the Flagship Hub. That will cut out some of the verbage in the "rules", as you can simply direct people to the Flagship Hub page - not as a mandated layout but as an ideal to aim for. I posted one hub for this contest, but I wasn't sure I got it in on time, and whether or not it was read, etc.. Maybe some kind of confirmation that my hub was received for the contest. I like the idea of a common link, kinda like what we do for the hubmob. Thanks for the great opportunity and the chance to give our opinion! Yeah, I can understand the feeling of uncertainty being most troublesome - I'll see what we can do about that! Many people have commented on the time zone frustration. I knew what the deadline was; I just wasn't sure how synchronized our clocks were. Agreeing with Specialk3749, when I submitted with one minute to spare, did I really make it? The cure for that is to have the contest clock synchronize with the rollover of the "first published" datestamp in the "My account" view. As I look back at my record of hubs there, it doesn't reflect the contest days at all. There is probably a 12 hr discrepancy, but only your programmer knows for sure. Yes, a confirmation would be wonderful! What I liked was the link for "contest" between your profile and my account. I wish this was there all the time to take you directly to which ever contest is running, for example I have just seen the "Vintage" contest and it nearly closing, my fault I suppose, but had the contest sign been there I would have entered. It's a simple thing in ther Category area. A Hisitory... category so we can write hubs and post them in the correct places. Thanks for inviting feedback. I really enjoyed the last contest and thank you for running it so smoothly. WOW - 7000 entries is awesome! Bet that kept you on your toes Simone! I'd like to see clearer rules too. The graphic on the last contest said the contest began on the 1st Feb but it actually didn't begin until midday on the 3rd Feb which was confusing. Also, can you please set up the countdown clock earlier - say even before the contest begins. This is especially important for those of us who reside out of the US. I'd like to be able to easily see what hubs have been produced that day so I can support fellow participants with comments and views. Because I couldn't find the hubs easily, this was difficult during this contest. I found the daily categories confusing and at times in conflict with the weekly headings. Tax and taxes were under getting out of debt for example. Understanding finance also fitted into that category yet understanding finance is much broader than just debt. Several hubs fitted in several categories and then others on finance didn't fit into any. For example - retirement - what you do when approaching and in retirement may require a different approach to your investments but this very important topic didn't fit anywhere. I didn't know where to post those hubs. I guess, depending upon your subject a few more general topics would help subject matter experts. I know its impossible to make it absolutely clear but thanks for inviting feedback. I agree that the current division of topics in the Personal Finance category are kinda vague. And what was missing with this contest was a common grouping, tags and graphic(s). travelespresso - great feedback! Yeah- I would have liked to have the countdown clock up earlier, but there was a bit of a bug, so we didn't anticipate seeing that down. I'll definitely work on clearer rules, and sorry about the graphic- that definitely was confusing. We had designed it before we were sure the first submission date was the 3rd, but we wanted to make it clear that the contest didn't start until January, even though we began promoting it in December. I love the idea of being able to see what Hubs were entered in a day - that would be a great way for people to be sure that their submissions came through. Tranquilheart - you're right, the PF topics are vague - our topic categories are a bit haphazard because they were not developed all at the same time. I don't think there's much we can do about that, but our next contest will be configured differently so that won't be an issue. Could you expand on the grouping, tags, and graphics that you found to be missing? What do you mean by grouping and graphics? YOU MUST START YOUR HUB CLICKING THIS LINK. Choose the Answer the Request green button. Choose the MAKE A HUB ABOUT IT option. Marks the Spot Contest was the perfect contest. I agree with use of a special link or tag to enter the contest just what tranquilheart said. I agree with everyone who has given suggestions above and would like to add mine. I think as suggested by Simone in the contest's official thread, that a person who does not know about the contest going on should not be included in the contest. I mean that a hub should be eligible for the contest if it is started from a SPECIAL LINK displayed on the original contest page. That would help people win who are actually preparing their entries specifically for the contest. Also, I agree with the suggestion of travelespresso that, "I'd like to be able to easily see what hubs have been produced that day so I can support fellow participants with comments and views. Because I couldn't find the hubs easily, this was difficult during this contest." I need your suggestions regarding this. I thought it was that way already. I have never entered a contest (and probably never will) but I did think about it once and I thought it said you had to use a special tag or something like that? Or am I thinking of something else? If it is not, I agree it definitely should be that way, because, strange as it may sound to some, there are people like me who very definitely do NOT want to be in a contest just because we happened to post a hub in the right subject area at the right time. I have seen several questions of this nature, and the answer is always "you must begin your hub from "this" link in order to be in the contest." Already written hubs, or coincidentally timed hubs are NOT included in the contest. I can readily agree to intentional contest entry. I hope we can do it partway through the hub development, like with a tag, rather than requiring it to be done before even starting, like with the HubMob answers to a question. It annoys me (in the HubMob) when I have to back up and start over because I forgot that first step. There is only one other thing about hub layout that can't be changed once started, and that is the url. We've had people use tags before to signify people entering in a contest, but because people complained about it being complicated to enter into HMTS, we decided to make all Hubs entered into the PF category candidates, just to make it as easy as possible. This next time around, I'll definitely do all I can to make it easy to enter, but to DEFINITELY distinguish between those who meant to enter and those who are just publishing. Pets, and how they improve your life! Oh, I love it!! NOTED! Very good point! A lot of people over-clutter their Hubs with excessive numbers of links and irrelevant and low-quality / not original photos. I think Hubs are better off with just text when it comes to picking between the two. That said, relevant, useful capsules make a HUGE difference, and Hubs with judicious use of other media in addition to text shall certainly get a leg up - not only in contests, but also when it comes to long-term traffic and success. From a totally selfish point of view I would really like to see a competition about publishing, self publishing, and marketing books. I agree, along with aspects of starting and running a home business (sole proprietorship geared for writers). I am ready to expand my writing into ebooks and would be very interested in this type of hub (self-publishing and listing with Amazon or whoever, all that kind of stuff). I participate in the last one, I think, I was never really sure. I wrote one hub but because of confusion (maybe just me) I wasn't sure if I did what I was suppose to do. Writing it was good experience since I only started 4 months ago. Hopefully by the next one I will understand what I should be doing..LOL I'm not as concerned about the topic...I like what everyone else has said... Thanks for the opportunity. Well, the topic for the contest has already been chosen so I hope it's a subject I know more about. Other than that, I'd be happy to participate in a contest but I can't speak from experience on how to improve the contest rules. I guarantee you, it will be. The main reason I did not enter the last contest was that it was not an area I would have done well in. I am hoping the next contest will be on a subject I have a lot of interest in -- and pictures. I missed this contest because my internet was turned off for a couple of weeks, so I cannot discuss what could be improved, but I would like to have a contest that targets imagination and the kind of writing skills looked for by book publishers. Perhaps short stories, poetry, kids stories, I don't know how many others would be interested in this sort of contest. Wow! From 200+ to 20000+ entries! I sure hope to join the next contest. Waiting to dive into the next contest! Testimonial: It was the topic and the competitive aspect that prompted me to join HP a month ago. I had seen HP a few months earlier and was idly reading and procrastinating. My wife called the contest to my attention, and that's all it took. I was confident of my better-than-average skills, but did better than anticipated. Thanks for the opportunity! You'll be reading more from me in the future. At this point, though, I need to brush up on the marketing side so I can add pennies to my prizes! Also, updating your Hubs with relevant info as you come across it helps - it shows Google that those Hubs are carefully maintained resources. I am adding this late to the party - I apologize. I know you have your topics already picked but IF I might add food for thought for the future? I enjoy history - specifically the history of innovation. The back story of how the product, company was started. For instance, Wrigley started as a promotional product to promote soap, Lincoln Logs earned more than the inventor's father did in architecture, etc.... The information is hard to find but exists and is fascinating. Thank you very much for listening to my late reply. American_Choices - that's a wonderful suggestion and you may find that our next contest's subject might allow you to write about such things in a certain manner! Here's one thing I really liked about the contest design: The awards recognized three different spheres of participation, each of which is very important. Fair coverage like this is unusual in a contest. 1) Quality was recognized by the Staff Pick and Best Hub. 2) Marketing network was recognized by the People's Choice. 3) Encouragement of inexperienced authors was possible through the Daily Draw. Thanks, Howard S! That's exactly what we're going for with those. Agree. I was sure I'd never win because I didn't have many connections after being away for almost a year. 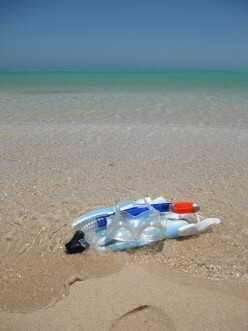 The travel contest brought me back and I was amazed to win more than I ever expected. It's great to see that there are judges who pick some prize winners and voters who pick others. To be able to write something relevant to the topic and to write it well!!!! I did not participate in the last contest because the topic is something that I know nothing about and does not pertain in anyway to most of my subject matter. Is it possible to provide more universally Hubber-friendly topics? Imagine each hubber submitting a hub containing a comedy routine, send up, tribute, etc with a YouTube video. Now that would be different. If you are unsure of what I mean (and it's a serious video by the way) check out Simone Smith's hub on knife etiquette. Did I mention all expenses paid trip for a weekend for one international Hubber (competition grand prize winner) to a Hubcamp in San Fran????? Oh this is in response to the question being asked of What would you like to see in this next contest? I love the idea of having comedy in Hubs - no matter the subjects, Hubs can always be improved by a bit of comedy here or there - even the humerous video inserted somewhere to lighten up what might otherwise be a dark or depressing subject. I have never joined a contest here due to difficult to understand rules and I never really 'get it' as to how to join in. I'd like HP to make it easier for people, like me, to understand and join in more often. I would like to see some honorable mentions and maybe a featured article section of the contest entries. Since there are so many more entrants than the previous contest maybe we should have more prizes or more ways to win. Just my suggestions. Going through contest withdrawl now. There actually were unofficial "honorable mentions" for several days, though sporadic. They were mentioned in the "official contest thread" forum http://hubpages.com/forum/topic/63785 . Unfortunately, there was no link from the contest announcement and rule page to the official contest forum. You either discovered it or you didn't. The month was half gone when someone pointed it out to me. 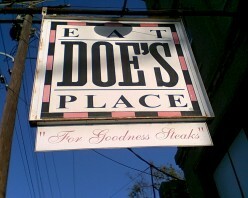 @toknowinfo & Howard S. - where would you like to see any honorable mentions? Where can we share them so that they don't crowd up contest pages (we're trying to make those as simple as possible for those just looking for the rules)? Would you like to see them announced on the site, or on social media? Would a continuously updated blog post be sufficient? Well I'm kind of a linear person so maybe much more details. I am never sure how to click on where I'm supposed to in order to even sign up for the contests nor the 30 day challenges even. The rules are kind of complicated sometimes and I know I'm pretty intelligent so if I find it complicated maybe others do too. Without all the rules in front of me it's hard to get specific. But when the forum hub says 'join here' I still look for where or what to click on. Thanks for responding. To answer your question about honorable mentions, I was thinking to list them in the same place the winners get listed. Also what do you think about adding accolade buttons to the hubbers site for people who get nominations and for wins for all the different contests going around hubpages? In my short time here, I have been nominated for the hubnuggets, and the top of the class contest. I never knew about these contests until I was nominated, but I was thinking accolades would be a way to encourage others to participate and to nominate.The same might be true to create an awareness for contests like money grows on hubs. It certainly is motivating. We're definitely working on adding more accolades, and I like the idea of featuring honorable mentions in the contest more prominently. I'll see if we can work that into contest page design. If we can't, I'll try to see what other things I can do to better feature them! Glad to hear that you are working on more accolades. If the honorable mentions can't be worked into the contest page, perhaps there can be a noticeable link to click to a page that is dedicated to honorable mentions. No, don't further clutter the announcements page by adding honorable mentions there. The announcements page should not change after it is posted, which means it carried too much last time. It should have links near the top to a few related pages: detailed rules, list of daily topics, winners (which may be able to host voting and honorable mentions). Each of these pages should list the interrelated links near the top. The idea here is to keep one kind of information per page, with clear links to related pages. You can also check your Feed from time to time - you'll see updates there! I would like a case of beer...thanks very much! All winnings can certainly be used to purchase cases of beer! Hahaa- are you suggesting we get a special sponsor for the next contest that can send over something directly? Exactly half of the daily Staff Picks had tables, the rest did not. Thanks Howard, for all your useful statistics. I never would have thought of breaking the hubs data down as you have done. Thanks for the time you put into this. the difficulty here is just the issue of how to enter the contest and how to confirm that one actually participated else, it is all good. so my own suggestion comes in this regard: can you please add a link to every hubber's personal page as they sign in, asking if they had like to join the contest...and if they click yes, it will take them to the processes and procedures to lunch or publish their hub contest hub. like this, confusion will be resolved once. please allow all more hubbers from certain regions to participate...whether paypal allowed or not..give them the chance...i am one of them....lol...thanks...i love it here...awesome world....you guys rock! It would also be great to have a page filled with hubs that were entered into a specific contest, so that it is easier to read each other's hubs. Can you tell us when the next contest is? Be good to have one on travel - great places to see , however we need to be allowed photos as they make the hubs ! This was the second (I think) contest that I participated in, and for me at least, I went into it hesitantly since there was soooo little information. I mean, all I really saw before the contest was "write something, anything on this really broad, general topic where there are a million possibilities, and maybe -- just maybe -- you can win something." It would be really nice to know what guidelines you will be using to judge who the winners are. I would hate to think that one of my hubs, or anyone else's, was disqualified because we didn't have a photo with a high enough quality or something like that. And while I understand that the broad topics are really beneficial to you, when it comes to something like Personal Finance, more niche topics benefit us more. Instead of "Personal Finance," the topic could have been narrowed to loans and credit, banking or spending. With a topic as broad as you had it, I really have no idea how a sane person could judge it. Not to mention the fact that at this rate, you're going to run out of topics in short order! Yes I think it's right. We shall definitely be more specific with criteria for the next contest. And while we did have a very broad topic, we offered more specific "daily bonus topics" every day - did you use those, or did you wish that the entire contest was more niche in nature? Hahaa- you're quite right, though, that nobody sane can judge the contest!! Everyone travels at some point in time. I would like to see a travel hub contest. Oh that's already done Susan. 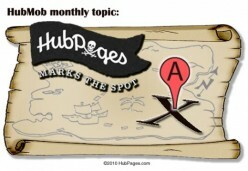 HubPages organized Marks the Spot Contest with the launch of its MAP capsule in the month of September last year. As the name suggests, it was a travel contest and I was able to grab 4 daily doubloon prizes. I guessed I missed it. I did get one hub in the finance contest though. Glad that you got a prize. The contest was a fantastic opportunity to publish Hubs on anything to do with Personal Finance and I appreciate that HubPages tried to make it as simple as they could for anyone to enter. But with the simplicity came confusion. For previous contests we have been asked to post our Hub links to a forum, the same as we do for a weekly HubMob. It was even suggested that posting links to the forum for the contest would simply clog the post. Yet many Hubbers continued to post links everytime they published a Hub. It left me not knowing which way to go, post a link and advertise the fact that I had written a new Hub for the contest or follow the instructions. It was a great contest though as is evident from the amount of entries submitted and I am looking forward to the next one. Hitting the link-posting-to-a-forum-thread thing from a different angle, it's against the rules of self-promotion (I think). Of, course, you get a thread like the HubMob thread that exists for almost no other purpose than to do just that--which makes it legal there--and it's actually possible for posters to become confused. Yep, the topic should be disclosed some time in advance, such as in March. The contest is in April so that gives us enough time to write some hubs. I didn't even know the contest was on until several days after it had started, maybe we should have a contest page linked on the nav bar. There are so many little rules and variations it is also pretty hard to keep track of what needs to be done, maybe if you are logged in the Competitions page could also track what you had completed for each day of the competition, updated hourly or something. I know that might be a pain to implement, but I think if things became more clearly defined and trackable the contest would be much more appealing! When the contest is live, we do have a contest link in the top navbar, though do you have any other tips on how we might promote it more? I agree, I felt that the contest wasn't well publicised, even on HubPages. I'm on almost every day and I barely noticed the contest was on. The Food contest last summer was much more visible... although maybe that's because that's one of my favourite subjects! Looking forward to this next contest and I hope to participate this time. Great idea - though do you have any tups on what we can do to better publicize the contest aside from promoting it in My Account, the blog, social media, and the newsletter? That sounds like you've just about covered it! I think it would have been useful to have a banner for it at the top of My Account or some sort of widget that keeps you updated about recent contest happenings (during the contest). Hi Simone! I would like to see a few things that at least for me would give me a sense of where I stand. Could we see a page that shows where we rank as far as total hubs, total views and the like against the community as a whole. I understand there is thousands of writers, so maybe only against active writers, those with hubs published in the last three months. Also on the accolades could we have smaller intervals. I have nealry 50,000 views as my year draws to a close, but my profile last marked 10,000. I understand there are many with much l;arger statistics but if you want people to feel a sense of accomplishment you need to reward small sterps as well as the larger ones! Thanks for those suggestions, Dobson! They're not so much contest related as general HubPages-related, but we're definitely working on improving analytics and accolades, and as soon as we get some of the more basic aspects improved, we can move on to adding cool stuff like that! I enjoyed Hub Marks the Spot. I was a newbie when it ensued, and I had trouble hitting all of the marks of being entered the first couple of times, but once I got it all, it was easier. 1). The contest was perfect for the economy in North America at least. 2). It helped me find a niche, that has benefited me, my town, HubPages and beyond I hope. 3). My Hubs with the best 'evergreen' traffic are the Hubs I wrote during this contest. 4). I learned a lot about places you don't read about in travel guides, and in the larger publications. Since we at HubPages have such remarkable power to do good with our pens (PC's or Tablets), another contest that encourages Hubbers to get out and about, boosts small business, and tourism is a Contest that holds for all levels of success. Negatives of past contests: lack of clarity on what was being judged. It seems what makes a profitable Hub of longevity per Google AdSense, is not the same thing that makes a Hub which wins the contest(s). This was already addressed. Thank you for the contests, and the chance to win for ourselves, and our communities as well. Thanks so much for the assessment, LillyGrillzit! I find that quite helpful, and am also so glad that you benefitted from the HTMS Hubs you've written! We're definitely taking your suggestions to heart - great tips! I agree with LillyGrillzit. Marks The Spot contest had been amazing for me also and has been paying off well. Hubpages own brand of beer to every contest winner, make it a crate of beer or even a full pallette brought round to each contest winners house by a fork lift truck! I would like to see a contest for poetry. perhaps divided into different styles?